You may have heard of my story. I’m the guy who paid off his mortgage by age 30. CBC News filmed my mortgage burning party a little over three years ago and it went viral. While a lot of people know I’m mortgage-free, I wanted to share my story of how I got there and why I decided to do it. Here’s an excerpt from my bestselling book, Burn Your Mortgage. 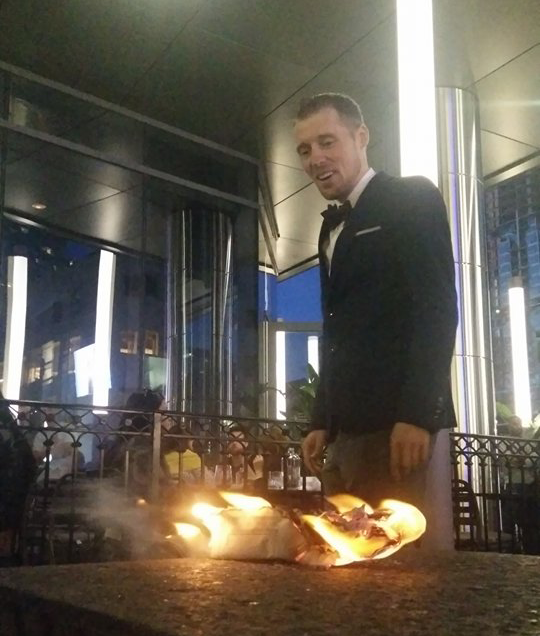 Ding-dong, the mortgage is dead,” I triumphantly announced as I set fire to my mortgage in front of my cheering family and friends outside a pub in the heart of downtown Toronto. The three year journey to mortgage freedom was finally over. At the ripe old age of 27, I had bought my first house. It’s a beautifully renovated three-bedroom bungalow in Toronto, Canada’s second most expensive housing market, where the average detached house goes for over $1 million. I purchased my house for $425,000, which was a bargain. I was thrilled to finally be able to call myself a homeowner. It had taken me over two years of house hunting and two failed offers to find a place I could call my own. All my hard work and frugal living had paid off. I made a sizable down payment of $170,000, leaving me with a mortgage of $255,000. Six figures of debt—slightly over a quarter of a million dollars—is pretty intimidating, especially when just one person is carrying it, so I made a plan to pay down my mortgage as quickly as possible. I chose a five-year fixed-rate mortgage at 3.04%. Melissa Leong of the Financial Post, Canada’s business newspaper, wrote about my ambitious plan to be mortgage-free. She talked about my single-minded path to debt freedom, which included living in the basement of my new house while tenants thumped around upstairs. Managing to pay off over $100,000 of my mortgage in a year and half, I could taste mortgage freedom. The journey toward mortgage freedom wasn’t easy. Between my two jobs as a senior pension analyst and a personal finance journalist, I typically worked up to 80 hours a week, putting every spare penny toward my mortgage. I was careful with my travel budget but still managed to have fun. I didn’t take extravagant vacations but instead did daytrips to Niagara Falls and went camping. I was diligent and dedicated. I watched my spending on clothing, entertainment and dining out. I made paying off my mortgage my top priority. Basically, I ate, breathed and slept my mortgage. Some people have questioned my lifestyle choice. Yes, I could have done a better job of achieving work-life balance, but I see it as short-term pain for long-term gain. I may have worked very hard for three years, but now I have the rest of my life to enjoy, without a massive mortgage holding me back. September 22 will forever be a date etched in my memory, for it’s the date I paid off my mortgage. I managed to pay it off in three years and two months, ahead of schedule, and before turning 31. To celebrate, I threw a mortgage-burning party to thank my family and friends for their support (burning the mortgage papers is an old tradition for homeowners who’ve paid off their home). After living conservatively, I went all out. I spent hundreds of dollars on a new suit and on hosting the party—I wanted it to be the mortgage-burning party for the ages. I invited the CBC to film the big moment when my mortgage papers went up in flames. Sean Cooper “burning his mortgage”. I had prepared a speech in which I talked about how I hadn’t taken any shortcuts in paying off my mortgage, joking that didn’t have a trust account the size of Paris Hilton’s. My mother was the inspiration for my paying down my mortgage so quickly. When she was downsized during the dot-com bubble, she struggled as a single mother to pay the mortgage and raise two children. Seeing what she went through, I vowed to pay down my mortgage as soon as possible. I lightheartedly remarked that it would be the most important day of my life—until my wedding. 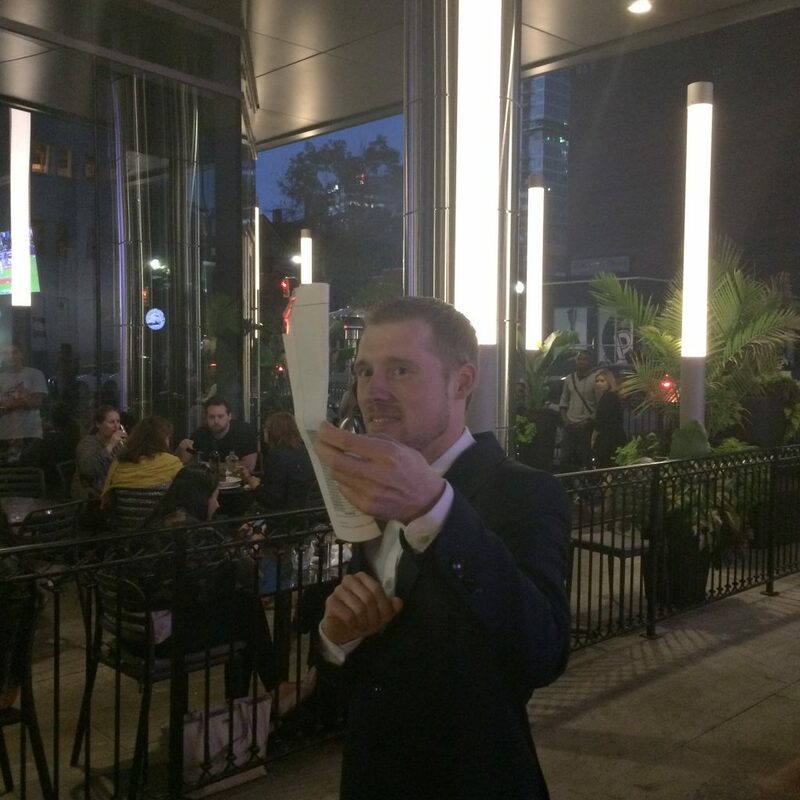 After delivering my speech, with friends and CBC reporter Sophia Harris waiting in anticipation, I attempted to set fire to my mortgage papers. Things didn’t go as planned—for five minutes I tried unsuccessfully to light the papers. Finally they caught fire and went up in flames. I felt like the weight of the world was lifted off my shoulders. This, I thought, is what mortgage freedom feels like. My story aired on CBC’s The National. Thanks to a stroke of luck and good timing, the story went viral. I received coverage in all the major media outlets in Canada: CBC, CTV, BNN, Global TV, the Globe and Mail and the Toronto Star. My story made headlines around the world. I was featured in the U.K.’s Daily Mail tabloid and appeared on Australia’s top-rated breakfast show, Sunrise. In the U.S., I filmed a segment for Good Morning America and was a guest on Dave Ramsey’s syndicated radio show. Although I garnered a lot of attention from the media, it wasn’t all good publicity. I was painted as a frugal extremist—someone who lived like a pauper, eating Kraft Dinner for every meal and never going out with friends. I do enjoy Kraft Dinner on occasion, but that particular portrayal of me couldn’t be further from the truth. I’m just a regular, fun-loving person. When I’m not working, I enjoy catching up with friends, cycling, weightlifting, public speaking, cooking and creative writing. And I’m not ashamed to admit I’m a bit of a nerd—I’m a big fan of Chicago P.D., Law & Order and Star Wars. And I’m relentless in achieving my goals. Upstanding citizen works his life away, lives in miserable squalor and forgoes human relationships for years. How is this an inspirational story? Yet another privileged white man bragging about how he “did it on his own.” But did anyone notice how big his down payment was? Or the fact that he has a $75K+ full-time job? I get where these people are coming from. Paying off your mortgage in three years is probably not realistic for most people. The good news is that you don’t have to pay off your mortgage in my timeline. My story may be exceptional, but hopefully you can draw inspiration from it. If I can pay off my mortgage so quickly, you too can do it faster and sooner than you imagine. And you don’t have to ditch your friends, eat only Kraft Dinner and go to financial extremes to pay off your mortgage sooner.